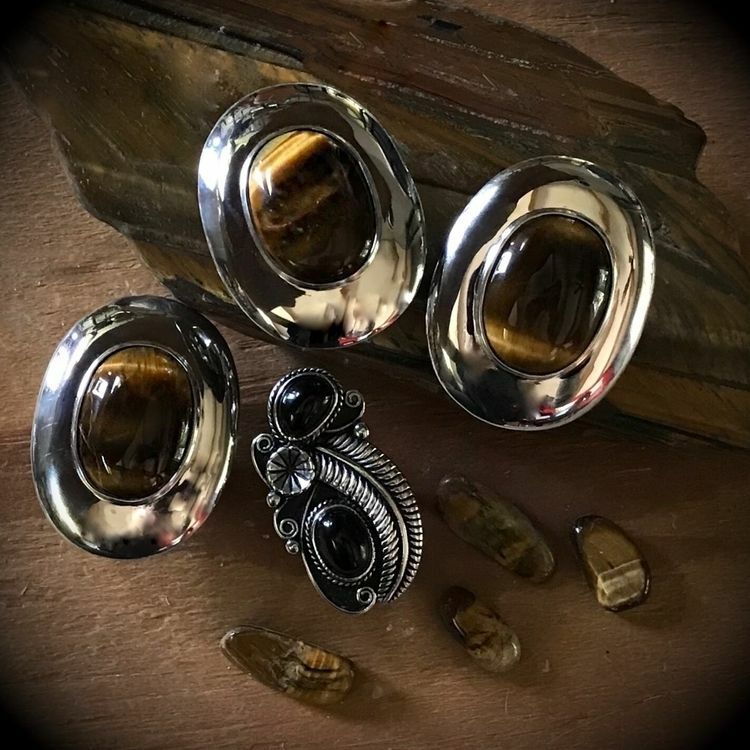 Just added the last three Shield Rings in Tiger’s Eye that will ever be. These were my last three stones. These are discontinuing after they find homes. Also just added the last Aishen Ring in Onyx to the website. Again, last stones, they will discontinue after this ring is gone. Tiger’s Eye and Onyx are two very special stones to me. In passed gallery posts I have written many entries about the protective properties of these stones. There are many kinds of protection ... these two offer the kind that I prefer in this new world of closed eyes and sharp words.